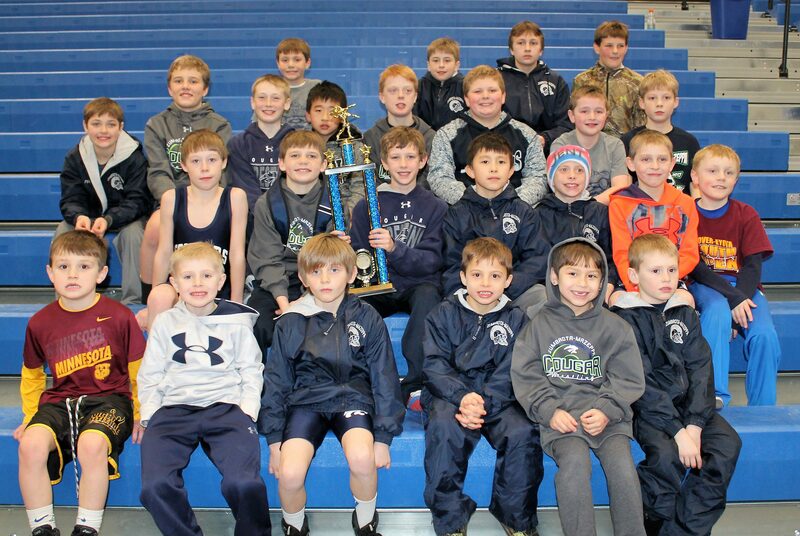 The youth team competed in Kasson on Sunday going 3-2 to earn 4th place out of 16 teams. The wrestlers were able to top Chatfield, Ellsworth, and Caledonia while falling to Dover-Eyota and GMLOS. Lots of close matches and duals all day! 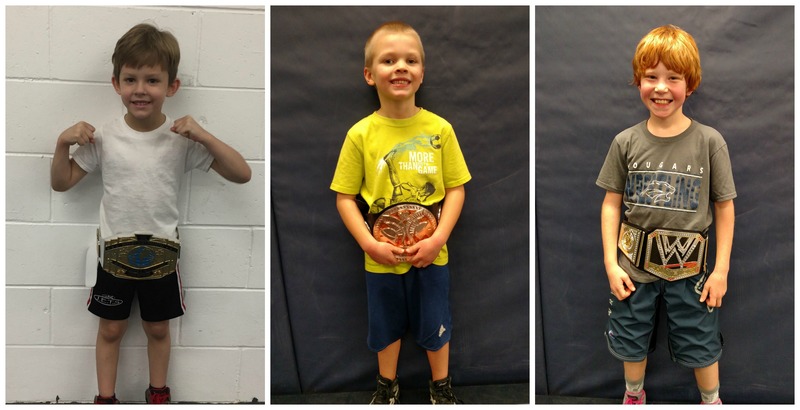 Our youth wrestlers of the week are Soren Scharnweber, Keagan Lowrie, and Ryan Lexvold. Soren is in PreK and son of Ed and Kathryn. Keagan is in 3rd grade and son of Justin Lowrie and Kari Lowrie. Ryan is in 6th grade and son of Chris and Lacey Lexvold. Great job boys! Wednesday- Booster Club meeting at 6:30 PM in Zumbrota VFW. Thursday- Youth Jr. and Sr. Team practice at 5:30 PM. High School @ Triton. Saturday- Youth Jr. and Sr. teams in St. Charles. JV tourney in Mazeppa. Sunday: MN/USA Qualifier in Cannon Falls. Author Chris LexvoldPosted on January 23, 2017 Categories Tournaments, YouthLeave a comment on Garcia, Moran, Lohmann are Youth WOTW; 100 Takedowns This Week! 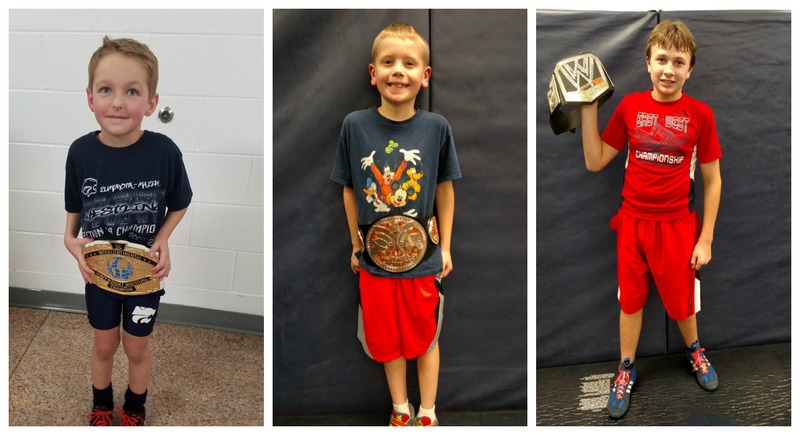 Our youth wrestlers of the week are Owen Mehrkens, Cooper Meyers, and Cody Anderson. Owen is in kindergarten and son of Josh and Ashley. Cooper is in 2nd grade and son of David and Britney. Cody is in 6th grade and son of Clint and Nicole. Our youth and varsity tournaments are this week! Please consider volunteering your time and talent to help make these a success. You can sign-up in the link sent to you via e-mail. Monday Tuesday- Youth open mat at 6 PM. Thursday- Youth practice. PreK-3rd at 5:45. 4th-6th at 6:45. High School @ Lake City. Saturday- High School home team tournament in Zumbrota. The youth team competed in Cannon Falls today going 4-1 to earn 3rd place out of 16 teams. The wrestlers were able to top Cannon Falls, LPGE/B, Rochester Mayo, and GMLOS, while falling to KW. Great team wrestling with a lot of heart! Our youth wrestlers of the week are Conner Dodd, Aidan Rolland, and Issac Moore. Conner is in kindergarten and son of Matt and Jen. Aidan is in 2nd grade and son of Richard and Heather. Issac is in 5th grade and son of Scott and Brenda. Monday- Youth practice. PreK-3rd at 5:45. 4th-6th at 6:45. Be sure to sign up for the scrimmage on Thursday if interested. Thursday- Youth scrimmage vs. Goodhue at 5:30 in Mazeppa. Goodhue at home, Senior Night. Friday- Youth individual tournament in Triton. High School at Granite Falls. Saturday- Youth individual tournaments in Eyota. High School at Wabasso. Sunday: Youth individual tournament in Stewartville. Our youth wrestlers of the week are Colton Nelson, Owen Warweg, and Colby Dohrn. Colton is in kindergarten and son of Mike and Tracy. Owen is a 1st grader, son of Adam and Marianne. Colby is in 4th grade and son to Perry and Carrie. Keep up the good work! Reminders to youth parents and wrestlers: if you haven’t picked up your clothing yet you may do so at practice on Tuesday night. We will be hosting a scrimmage with Goodhue on Thursday, January 12th. You can sign your wrestler up on the sheets in or near the wrestling rooms. Tuesday- Youth practice. PreK-3rd at 5:45. 4th-6th at 6:45. Wednesday- Booster Club meeting 6:30 at WD’s. Please join us! Thursday- Youth open mat at 6:00. Byron at home, Parents’ Night. Friday- Youth individual tournament in Waterville. 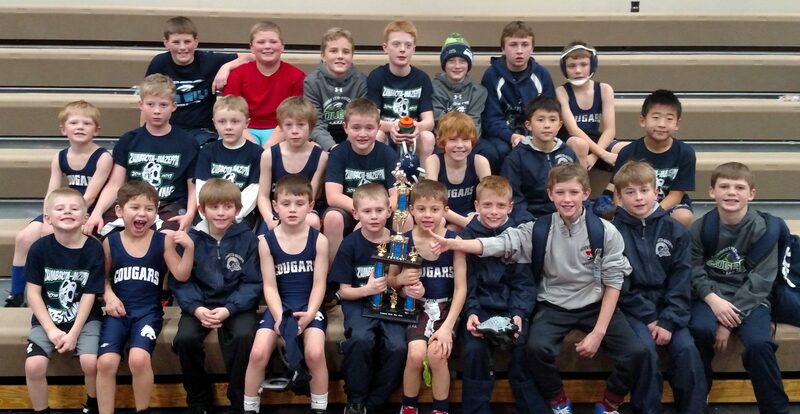 Saturday- Youth individual tournaments in Eagan and Farmington. Sunday: Youth team tournament in Cannon Falls. Happy New Year, Cougar Fans! The Cougars were 3-3 on the weekend against some of the toughest teams in the nation, placing 20th of 32 teams.